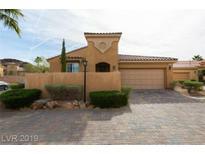 Find Lake Las Vegas, NV Homes for sale. View Photos, Maps and MLS Data Now! Lakes At West Sahara - Spacious yard with mature landscaping, pool & spa. MLS#2089110. Signature Real Estate Group. Vila Di Lago - This is a must see.,to many upgrades to mention MLS#2087953. Windermere Prestige Properties. Biarritz Lake Las Vegas - Floor-plan flows beautifully & includes a full bar, wine cellar, gourmet kitchen, large outdoor veranda & wrap around deck overlooking golf course/Lake Las Vegas! SELLER FINANCING!! ! MLS#2087810. Award Realty. Lakes At West Sahara - Home features terrazzo floors, chefs' kitchen, dual islands, Crestron, security cameras, large 1st floor master suite and so much more MLS#2085348. Las Vegas Lifestyle Properties. Prima At Lake Las Vegas - Gorgeous wrought iron staircase takes up to Loft & 2BDRs w/its own BTHs plus balcony. Resort living w/amenities & lake. MLS#2087264. GK Properties. Siena Lake Las Vegas - Experience world-class living in this masterful work of art. MLS#2086415. Synergy Sothebys Int'l Realty. The Falls - Welcome home to the Uncompromising Lifestyle of Lake Las Vegas Resort! MLS#2086043. HomeSmart Encore. Just 10 mins from Lake Mead and 30 mins from the Las Vegas Strip. MLS#2085549. Windermere Prestige Properties. Bella Fiore Lake Las Vegas - Relax outside in the pool and spa with cascading waterfalls. MLS#2084528. Windermere Prestige Properties. The Falls - 3 Bedrooms Plus A Den*3 Baths*2 Car Garage*all Appliances Included*kitchen Features Ss Appliances, Custom Lighting & Cabinetry, Granite Countertops, Backsplash, Walk-in Pantry*tile Flooring*shutters*california Closets*rare Over-sized Backyard Features Fireplace, Artificial Grass, Pavers& Fruit Trees*water Filtration System For Entire Home MLS#2084506. Integrity Realty. Lake Las Vegas - Extraordinary Lake & Mountain views in this one of a kind Mediterranean villa in the double gated community of Belle Vivente in prestigious SouthShore This architectural masterpiece encompasses an open floorplan,inspiring verdant courtyard,large spa & lush landscaping to extend your living onto the huge stone terraced patio overlooking the lake.The great room,dining room & bar are anchored to a magnificent gourmet kitchen all w/sweeping views! MLS#2082496. Signature Gallery Of Homes. Custom Pebble finished Pool, Jucuzzi and Inviting Interior Courtyard with built in fireplace. MLS#2081726. Signature Real Estate Group. The backyard features an elevated lot w/ large covered patio, putting green, pool/spa, and incredible views of 3 fairways on Reflection Bay GC. MLS#2081103. Simply Vegas. Lake Las Vegas - The home features Italian Carrara Marble flooring, high gloss kitchen cabinets, custom cut granite counters and backsplash w/ waterfall island, induction range, two walk in rain showers w/ linear drains, no thresholds, free standing tub, iron door and entry gate, and frameless glass pool fencing. MLS#2080512. Simply Vegas. The Falls - Only minutes from the strip and Lake Mead National Recreation Area! 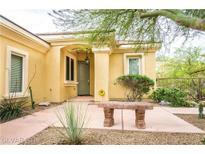 MLS#2080707. Addicted Realty LLC. The Falls - Epoxy garage floor, water softener, irrigation and front yard is maintain by HOA. No SID/LID. Extended driveway. MLS#2079965. Realty ONE Group, Inc.
Lake Las Vegas - Office, dining room, 3-car garage, minutes from Las Vegas. MLS#2079723. Synergy Sothebys Int'l Realty. Please Look At Comps, Seller Asking Much Lower Than Comps MLS#2079182. City Villa Realty & Management. The Falls - Mountain and greenbelt views! Move in Ready! MLS#2078832. BHHS Nevada Properties. The Falls - Gorgeous greenbelt views from the backyard. MLS#2078284. Addicted Realty LLC. Biarritz Lake Las Vegas - Large covered patio leads to the pool and spa with stunning views. MLS#2077334. Resolution Realty. Siena Lake Las Vegas - Amazing panoramic views of the mountains and the Lake. MLS#2076680. ACD Properties. 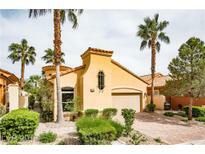 Biarritz Lake Las Vegas - Located in the Prestigious GUARD GATED community of South Shore at LAKE LAS VEGAS. Golf & sports club fun! ! MLS#2076326. NV Superior Properties.